The Kelso Housing Authority does not discriminate on the basis of race, color, national origin, religion, gender, disability, or familial status. 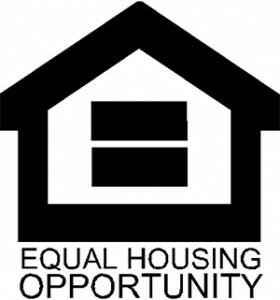 Kelso Housing Authority’s policies and practices are designed to provide assurances that persons with disabilities are given reasonable accommodations, upon request, so that they may fully access and utilize Housing Authority owned properties, housing programs, and related services. It is the policy of the Housing Authority to be service directed in the administration of our housing programs, and to exercise and demonstrate a high level of professionalism while providing housing services. This policy includes full compliance with all Federal, State, and local nondiscrimination laws and rules and regulations governing Fair Housing and Equal Opportunity in housing and employment. Housing discrimination based on your race, color, national origin, religion, gender, family status, or disability is illegal by federal law. If you have been trying to buy or rent a home or apartment and you believe your rights have been violated, you can file a fair housing complaint.